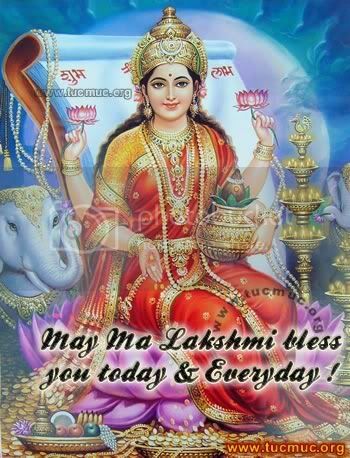 The word 'Lakshmi' is derived from the Sanskrit word Laksya, meaning 'aim' or 'goal'. Goddess Lakshmi is the wife of Lord Vishnu.Shri is the sacred name of Lakshmi. Her four hands represent four spiritual virtues. She sits on a fully blossomed lotus, a seat of divine truth.